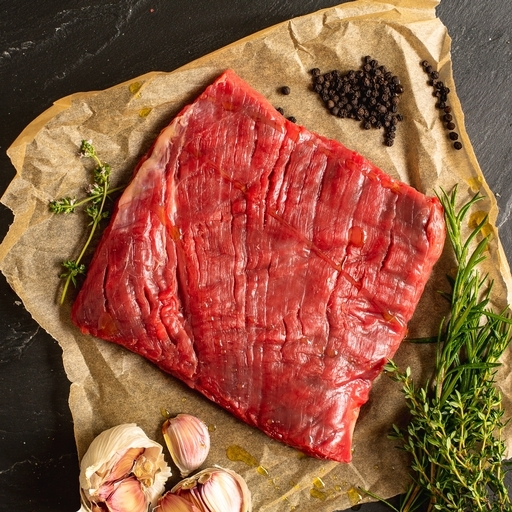 Our organic beef skirt is a fantastic, affordable cut for braising, pasties and pies. Rich and full of meaty flavour, it turns meltingly tender as it cooks. We deliver it as a whole piece, so you can either cook it as-is or cut it into chunks just the size you want. Serves 4. Can be braised or stewed, and is the perfect cut for slicing into a Cornish pasty. Alternatively, you can sear it in a pan and cook like a steak. It must be served rare to medium; it will be tough and chewy if cooked any further. Slice across the grain to serve.